Severe malaria is most commonly caused by the progression of an infection with Plasmodium falciparum to a complicated stage, although P. vivax and P. knowlesi can also cause severe disease. The risk is increased if timely and efficacious treatment of uncomplicated malaria is delayed. 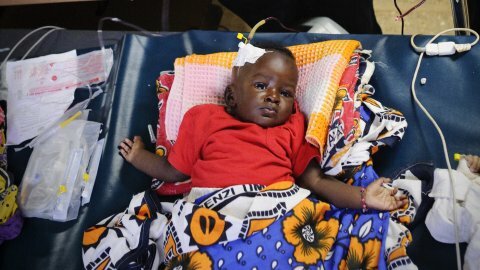 However, in children, severe P. falciparum malaria may develop so rapidly that early treatment of uncomplicated malaria is not feasible. Severe Malaria Supplement for the Tropical Medicine & International Health. 2014.